Why would I need self storage in Helotes, TX? There are a variety of reasons why you might need self-storage in Helotes, TX. How much is a storage unit in Helotes, TX? The cheapest storage unit in Helotes, TX is $63.00 per month. What size storage units do you have available in Helotes, TX? In Helotes, TX we have sizes that range from 5'x10' to 10'x20' to suit your storage needs. How much is it for a 5'x10' storage unit in Helotes, TX? The cheapest 5'x10' storage unit in Helotes, TX is $63.00 per month. Helotes is a small historical city in Texas Hill Country, recently drawing attention as a desirable suburb of San Antonio. It's a family-oriented community with several local parks, community events and convenient amenities. Although only about 1,500 people called the city home in 1990, the population grew considerably to more than 8,000 by 2015. Helotes was once a farming community, named for the Spanish word elotes, for "corn on the cob." Helotes has been named one of the best small towns in Texas to raise a family, thanks to its friendly community and family-oriented amenities. It offers a small-town atmosphere with charming attractions like the Helotes Creek Winery and monthly Old Town Market Days. Less than half an hour from San Antonio, Helotes offers convenient access to major metropolitan amenities and attractions as well. Old Town Helotes is the recently revitalized downtown district, home to many locally-owned shops and restaurants. The city is also home to the Oak Valley Golf Course, which was south Texas' first fully-lit golf course. Major retailers and family-owned businesses alike can be found throughout the city, offering plenty of shopping options. Helotes also hosts many community events, providing opportunities to get to know your neighbors. Movie night at the local park draws many families, as does Family Game Night. Health education seminars, classic car shows and special holiday celebrations are among the other events that regularly take place in the city. Helotes' most well-known event is the Cornyval festival, which celebrates the city's namesake, corn on the cob. Northside Independent School District manages the public schools in Helotes. There are a few private schools in the area, most of which are parochial campuses. Utilities: Major utilities providers in Helotes include CPS Energy, Grey Forest Utilities and SAWS. Garbage and Recycling: Trash and recycling collection is provided to most single-family homes in Helotes. Transportation: As for much of Texas, personal vehicles are generally the most common form of transportation in Helotes. However, there are options for public transit in the larger metro area. Helotes home prices are on the rise, especially as demand grows for housing. You'll find a mix of new construction and established homes, in a variety of home styles and sizes. If you're planning on renting, most of the rental properties in Helotes are single-family homes. 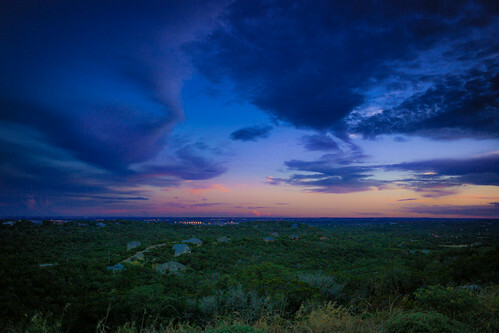 Our lowest priced units in Helotes, TX average $63.00 per month. 42 people have reserved units in Helotes, TX in the past 30 days. There is 1 location within Helotes, TX's city limits. There is 1 location in Helotes, TX that offers AC and Heating features.